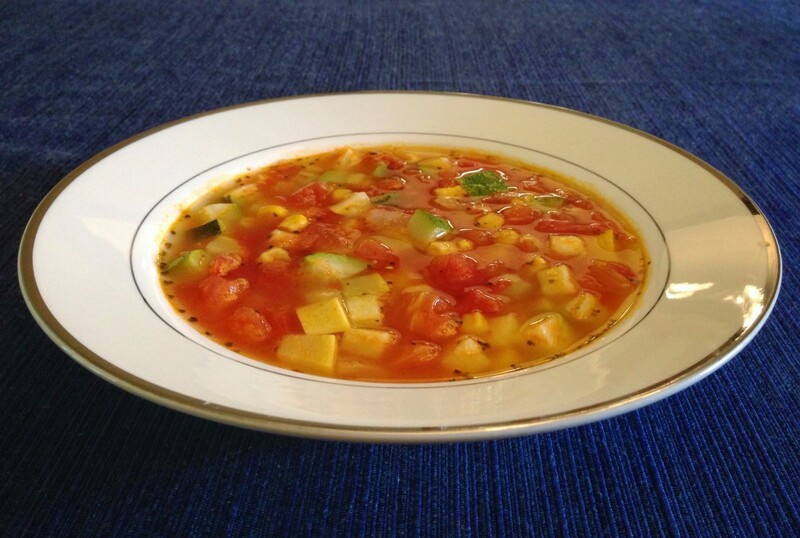 I was in the mood for some soup the other day, and found a delightful recipe for Summer Vegetable Soup in the Forks Over Knives cookbook. 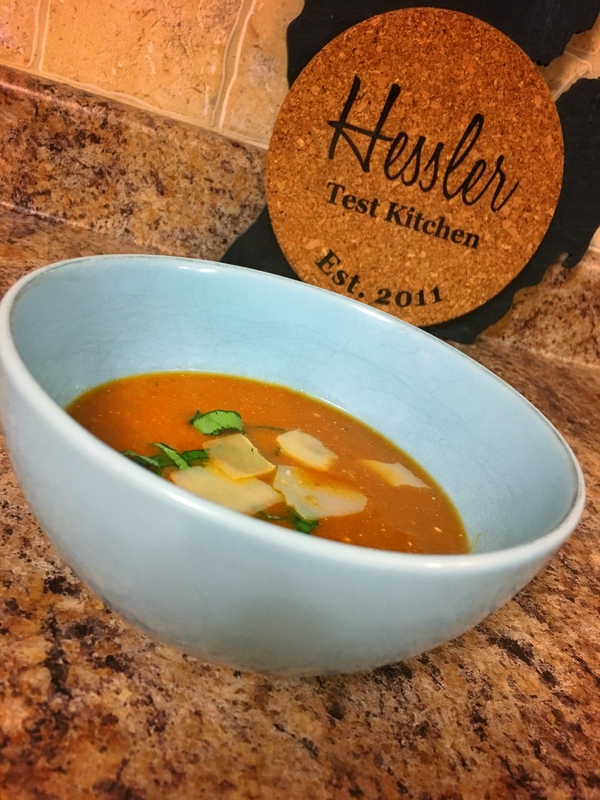 With a couple of minor modifications, I ended up with a delicious, healthy, and flavorful cup of soup that has “summer” written all over it. If you’re in the mood for a cup of summer soup, give this a shot. You’ll be glad you did. Last week, my wife and I received a newsletter for each of our children that we sponsor through Compassion International. One of the items included in each newsletter was a recipe for a native dish that is typically eaten by the child. Feeling inspired by the recipes, and seeing the opportunity to add the new recipes to my 50 in 15 Challenge, I decided to try my hand at each one. First up was this recipe for Groundnut (Peanut) Stew, which is a recipe from Northern Uganda where our sponsor child Stuart lives. 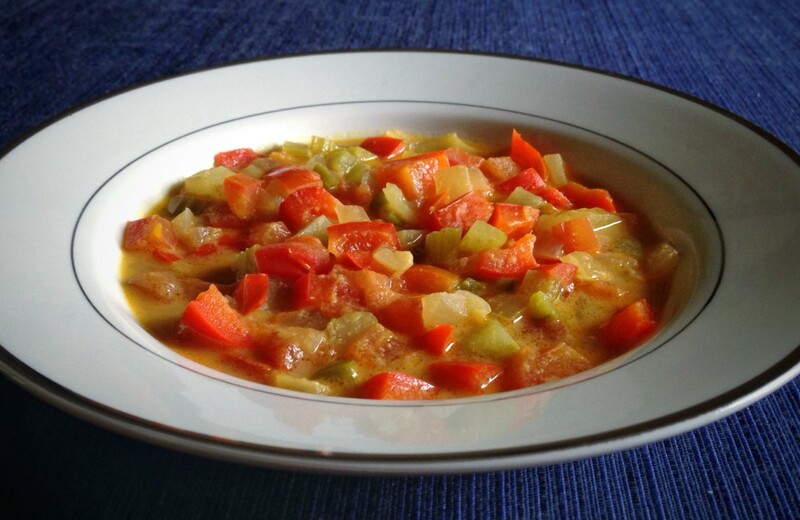 I looked at a few other recipes for Peanut Soup, and saw that there is a variety of ingredients that can be used, but I chose to stick with the recipe and ingredients from the Compassion newsletter. The end result was surprisingly tasty — sort of like a peanut-flavored vegetable curry. And it just so happens that it’s both vegetarian- and vegan-friendly. As part of Meat Free May, I’ve found myself eating a fair amount of soups and salads. 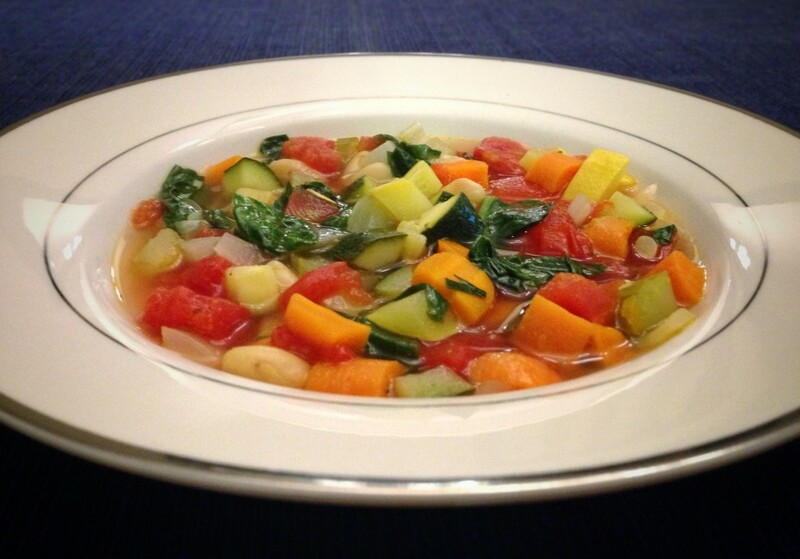 One of my favorite soups that I’ve made so far has been a Tuscan Vegetable Soup recipe that I found on the Food Network website. I made a couple of minor modifications to the recipe to suit my own preferences and tastes, but the recipe is largely unchanged. 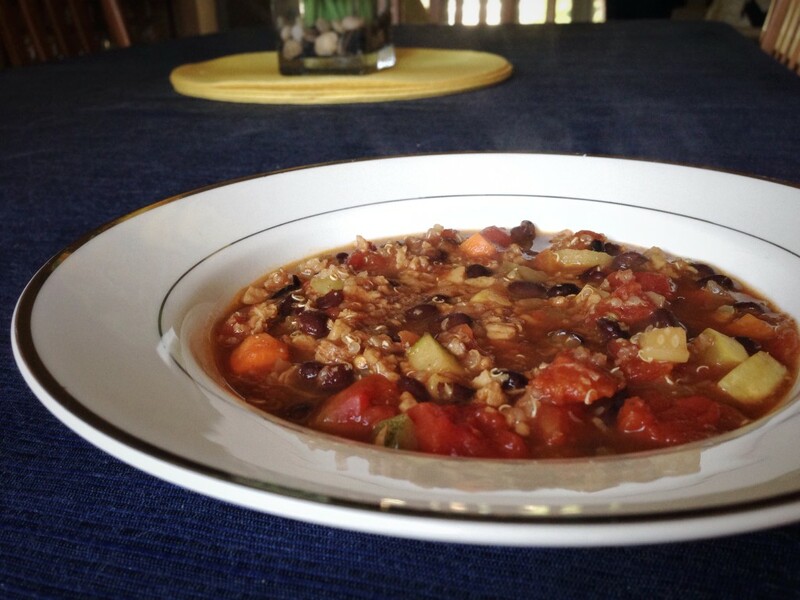 It’s a delicious and satisfying recipe, packed with tons of veggies and plenty of flavor. It’s not only been a great addition to my Meat Free May, but also to my 50 in 15 Challenge. If you’re in the mood for a good bowl of vegetarian- and vegan-friendly soup, give this one a try. You’ll be happy you did.